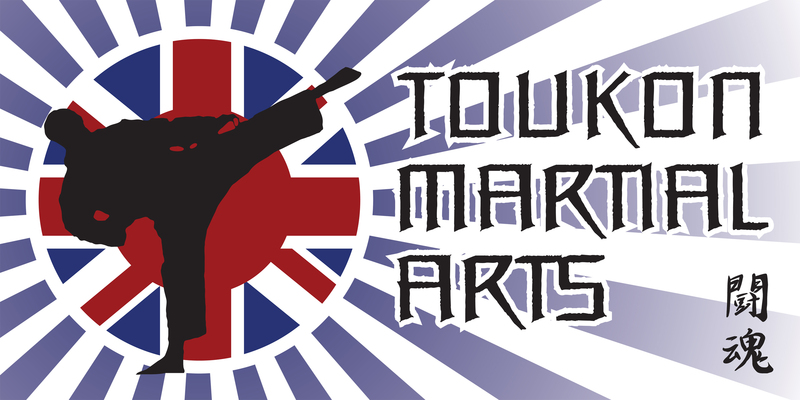 At Toukon martial arts we offer training in Kickboxing, Karate & fitness. We provide a safe and well equipped environment under the guidance of fully insured, qualified, CRB checked and experienced instructors. Martial Arts can be a fun and enjoyable way to improve your confidence, self discipline, self defence skills and all elements of your fitness including your stamina, strength, flexibility and cardiovascular conditioning. It is our mission to help each and every member become the best they can be by providing the highest possible standard of training methods and facilities. 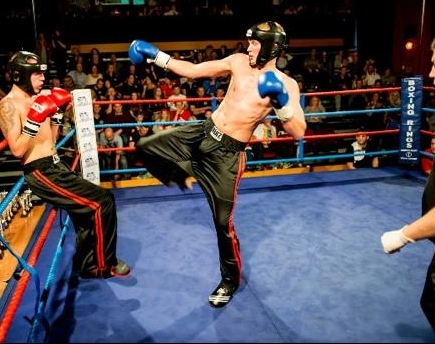 At toukon martial arts we incorporate all 3 main rule sets of FC, K1 and Muay Thai into our training. During our sessions we will use focus pads, punch bags & kickshields as well as shadow boxing to improve technique and sparring. Fitness is crucial to what we do and we use skipping, circuit training, medicine balls & kettelebells as well as high intensity body weight exercises as part of our training. At toukon martial arts we practice traditional shotokan karate with a strong emphasis on the practical use of our martial art. Our academy is very active in competitions gaining much success at all levels of events. We are are affiliated to the Olympic recognised world governing body, the WKF. 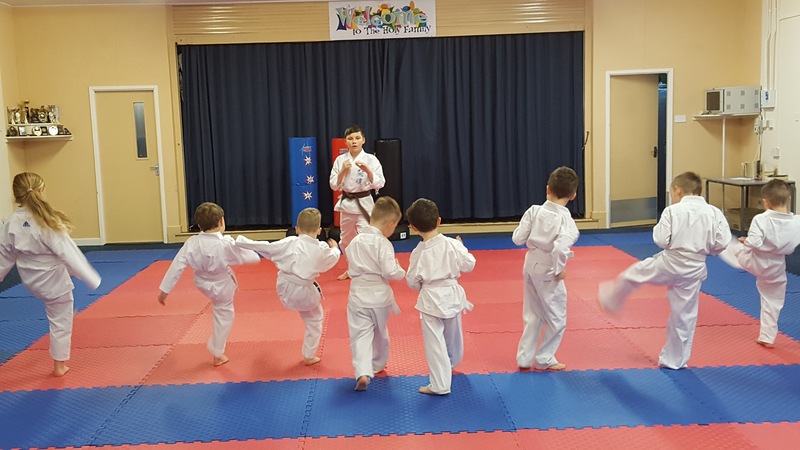 "I cannot recommend Toukon Martial Arts and Sensei Kevin Blewitt highly enough, both my son and I feel really lucky to have found such an excellent club to be part off. I started Haydn in Karate when he was an energetic but easily distracted 7 year old who wanted to fight like a power ranger. 7 Years on he is a happy, fit and confident 14 year old who finds his training a great pressure relief from the stresses of being a teenager. 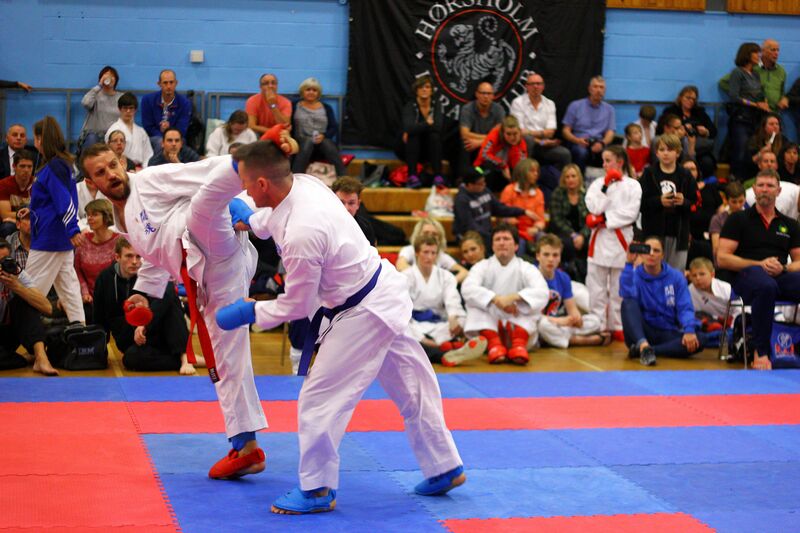 In the last year Haydn achieved his 1st dan and was also selected for the JKS England squad for both Kata and Kumite, neither of these he would have achieved without the support and guidance of his Sensei. I attend both the Kick Boxing and fitness classes at Toukon the atmosphere is excellent due to the great mix of people and everyone is always very welcoming. Kevin is a natural teacher and his sessions are always varied, high quality, energetic, challenging and fun. No matter what your ability, age, fitness level etc. everyone is both supported and challenged in equal measures." "My son joined at the age of 8 thinking it was a fad I thought it would last a few months (like they normally do! ), but no 6 years on his still there and loves every session & that’s down to Kev making each session fun. Drew started with a 1 hour session per week and the more sessions Kev puts on the more Drew goes now doing a minimum of 6 hours training per week. My son’s confidence has vastly improved since joining the club and I can’t thank Kevin enough for this!! Kev is a great teacher and he really gets to know his students personally, getting to know what motivates them, likewise the students and parents all know Kev just as well it’s like one big family. It is clear Kev has a real passion for martial arts and this shows in every session he teaches and the commitment he shows to his students. The club is well ran and has regular organised family events like fun-days, Christmas parties, bag packing to raise funds for the club as well as annual trips to other clubs to learn new techniques. In addition the club often runs out of school clubs helping with childcare when the schools are on holiday again this proves Kev’s commitment to the club and his students having fun." 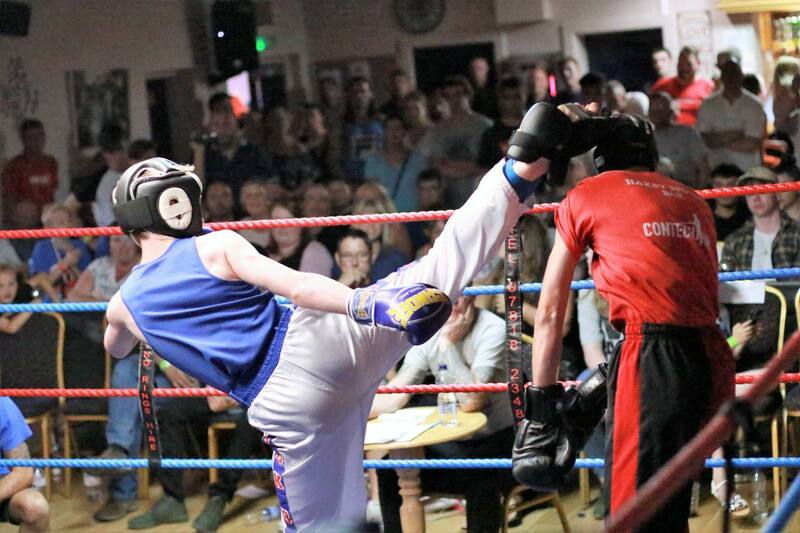 "Toukon martial arts is a fantastic club"
Many of our members choose to compete in either full or light contact Kickboxing as well as the Karate disciplines of Kumite and Kata at one of the many shows or local and national tournaments we attend. Not all of our members wish to compete and train with us to improve their fitness, self defence skills or to work through our structured grading syllabus. Some of our members simply train with us because they enjoy being part of the team.